Wow! 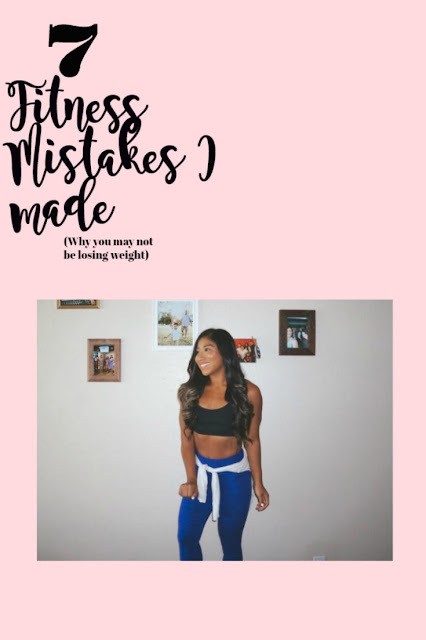 It feels like FOREVER since I've done a fitness post! First of all, my motivation hasn't been all there. I started the year of okay, but I wasn't committed to my fitness goals. Moving on to February I was like "okay, I need to be as committed as I was last year", and so I started of fine and then BOOM, life happened. We ended up being in San Antonio, what felt like majority of the month. I wasn't eating healthy at all, and eventually I just quit working out. Then March came along, it took a couple of weeks to get back into our routine, and then another BOOM! I hurt my right foot and it's still not a 100% okay. But FINALLY last week was my first FULL week of finally getting a workout in every day!!! One thing I was noticing with my workout routine was that I started to get bored. Which is normal. I was also feeling like I could do more, so this week the plan is to incorporate a full run (2-3 miles) with my workout at least 3 times a week. Since my foot isn't feeling it's best yet, I kept it pretty light and simple for my workout. Above I'm sharing the ab workout that I have been doing. I feel like I'm not putting too much pressure on my foot with these exercises. I noticed since I haven't been on my A game, that I have lost some definition in my core, so that's what I've been focusing on the most. Feel free to do this workout and let me know how you like it! Thank you so much for stopping by and for continuing to support my blog. It means the absolute world to me! Love these workouts! Sooo going to try them! How do you stay motivated? Thank you so much! Let me know how you like them! // Sounds silly but I when I don't want to workout, I just remind myself, the reason why I started and how accomplished I feel after a good workout!